Here is a quick review of some of the most important issues of my third term. 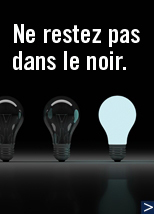 Although the matter is still before the Office des professions du Québec, we can glimpse some light at the end of the tunnel. After forming the Group of Seven (on our initiative, with six other orders), a conciliation process has been launched with an interprofessional group involved in applied sciences and technologies. The discussions are about the delegation of acts under supervision. As you may remember, the professional technologists were seeking full autonomy for certain exclusive acts reserved to members of these orders, unacceptable to the Group of Seven. A resolution that complies with protection of the public is in the works, at least I hope it is. We will keep you informed of any progress. The support and assistance of all members will be quite useful. On the recommendation of the ad hoc committee, an action plan was drawn up to restructure the status of junior engineer and engineer-in-training. We noted in fact that many junior engineers simply fail to complete their juniorship. New administrative measures will incite junior engineers to become full-fledged engineers within a maximum of five years. This will make it possible to resolve some occasionally sensitive situations, in particular where a junior engineer works in a SME without direct supervision. At the same time, they will have access, in support of their efforts, to such resources as coaching from active or retired members. The Regional Sections have already assured us of their collaboration in this area. Protection of the public will thus be strengthened. All professionals are responsible for keeping their competencies up to date. 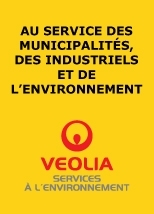 We have therefore prepared the Guide de développement des compétences de l’ingénieur (Engineer’s Guide to Competence Development). This unique tool will help you to plan and suitably manage your professional development. I urge you to use it, given that sooner or later, continuing education will become obligatory. With respect to the management of public infrastructures, our actions are directed as much at government as public opinion. Thus, you have been able to see two open letters above my signature in the media. The objective was to encourage public authorities to demonstrate vision and spend the billions of dollars being poured into Québec wisely. The OIQ recommends the preparation of long-term maintenance plans to ensure the permanence of new infrastructures. We have consistently expressed our message on the supervision of works, traceability of repairs and a visionary management of our infrastructures. With respect to the mobility of professionals, the OIQ adopted measures for better integration of foreign-trained professionals very early on. This year, the OIQ beat out everyone as the first to sign a mutual recognition agreement with France on this subject, during last October’s visit by President Sarkozy to sign the France-Québec agreement with Premier Charest. Competitive working conditions still constitute an unanswerable argument for attracting or keeping engineering professionals in Québec. 2008-2009 was a year of consolidation. The statutes and bylaws of the Regional Sections have been updated to standardize business processes. We have succeeded in overcoming communication and financial problems. We will continue to send all mailings from the OIQ’s server, in order to comply with the Act respecting access to documents of public bodies and the protection of personal information (Bill 86). New funds have been found to put our words into action. The year ended with the first Regional Summit. This year, we set the stage for conducting a concerted campaign to promote our profession. In response to general demand, we will have our own communications campaign in Quebec and provide input in the communications campaign proposed by Engineers Canada. The work done by the liaison committee of engineering associations will be exploited to make the profession better known and give it the standing it deserves. I will close by reiterating my profound determination to pursue the achievement our mission, in order to get closer to our vision of making the OIQ a rallying point and a standard in professionalism and excellence in engineering. Of course, your support is essential, for the benefit of both the public and the profession as a whole. I thank you for your confidence.